Our story began with the diagnoses of Riley Treat, son of Amy Treat, Chief Operating Officer/Partner of StoneRidge Wealth Management. Riley was diagnosed at birth with a serious hearing impairment, and the first few years were very challenging. However, the ruptured ear drums, prolonged infections, repetitive visits to the audiologists, and serious concern for Riley's future have given way to the more normal issues that parents face as they raise their healthy, active children. 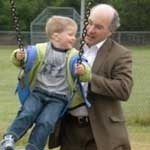 Riley is very lucky to have financially strong parents and to be surrounded by a loving and supportive extended family. High quality hearing aids, special classes, and continual support at home have allowed Riley's verbal skills to catch up to most other children his age. We began to wonder about the low income kids and the parents who simply don't have the money for the same programs that have allowed Riley to flourish. We've learned that most insurance programs do not cover the costs of extensive testing, hearing aids, or related accessories. We've also learned that government assistance may preclude many low income children in need, or may only provide "loaner" hearing devices while the child is actually in school. Van Mason and Amy Treat created The StoneRidge Foundation in the fall of 2007. Our board of directors includes Van Mason, Amy Treat, Heather McKay and assistance from Bret Wonderlick, Audiologist with the NWRESD. Our filing with the State of Oregon specifies that there shall be no compensation of any kind to StoneRidge trustees, and that all administrative overhead will be absorbed by StoneRidge Wealth Management. Every penny of every contributed dollar will go directly to the benefit of the child. Since our formal launch/fund raising event at the Portland Art Museum on February 14th, 2008 with Special Guest, Katie Harman (Miss America 2002), we have provided funding to71 children. 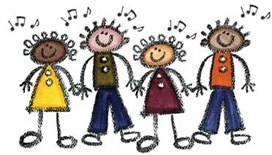 StoneRidge Foundation has provided hearing aids, ear molds, speech therapy and additional services for children ages 1 to 18. Children living with disabilities have challenges throughout their school years and for the rest of their lives. StoneRidge Foundation is excited to help pave their pathway to learning. 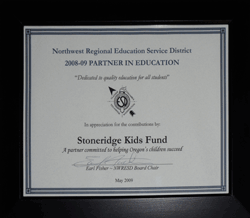 The StoneRidge Foundation was honored by the Northwest Regional Education Services District for 2008–2009 Partner in Education, “dedicated to quality education for all students,” A partner committed to helping Oregon’s children succeed. 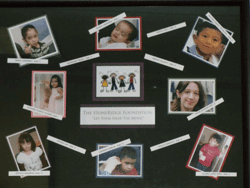 The StoneRidge Foundation is very proud of our accomplishments and is pleased with our donations thus far. As each school year starts, our foundation receives many applications. In the upcoming 2010-2011 school year we anticipate many more requests as other foundations have been closed to new applicants. We are always accepting donations and every penny directly helps a child in need. To donate please send your check to The StoneRidge Foundation and you will receive a tax deductable receipt. Should you have questions, please feel free to contact Amy Treat at 503.352.0188. And We Thank You For Supporting Our Local Community!